Residential Parking Ban to take effect Sunday, February 10 at 7 p.m.
Winnipeg, MB – Plowing of residential streets will begin Sunday evening to improve the condition of residential streets. As a result, a Residential Parking Ban has been declared and will be in effect starting Sunday, February 10 at 7 p.m. Residents are urged to confirm their snow zone letter in order to determine when their residential street is scheduled for clearing. You can find your snow zone with the Address Lookup Tool, by contacting 311 or by using the Know Your Zone app. Residents are encouraged to find out their snow zone letter well in advance of the start of the residential plow and to make alternate parking arrangements if they park on the street. Starting at 7 p.m. Sunday, residents of snow zones E, J, L, M, O, S and V will need to move their vehicles as plowing will be underway in those zones until 7 a.m. Monday. Please refer to the entire schedule below for details about when snow zones will be cleared this week. Residents on scheduled streets are urged to find an alternate place to park such as an off-street driveway or parking lot, or a nearby street that is not currently scheduled for plowing. This will help the plowing operation run smoothly and will prevent you from being ticketed and towed. Vehicles parked in violation of the Residential Parking Ban may receive a $150 ticket ($112.50 if paid early), and may be towed to a nearby street that is not scheduled to be plowed, or has already been cleared. If you believe your vehicle may have been towed due to the Residential Parking Ban, please contact 311 for assistance in locating it. Approximately 400 – 450 pieces of heavy equipment will be used for this snow clearing operation so motorists are reminded to drive to winter road conditions at all times and to use extreme caution when driving near any plowing or sanding equipment. The City also offers free email and Twitter notifications which advise subscribers when additional parking bans go into effect. To sign up for notifications, visit winnipeg.ca/snow or contact 311. Winnipeg, MB – Northbound and southbound Pembina Highway between Jubilee Avenue and Stafford Street will be completely closed to vehicular traffic over the third weekend in February to facilitate installation of girders for the new Transitway over the Pembina Bridge. The closure will commence at 8 p.m. on Friday, February 15, and continue until 4 a.m. the following Tuesday, February 19. Construction will take place around-the-clock during the closure. Roadway access for Winnipeg Transit and emergency vehicles will be maintained during the closure. Access for pedestrians and cyclists will be maintained on the east sidewalk. Motorists should allow additional time to get to their destinations, and use alternate routes such as Osborne Street, Waverley Street, or Kenaston Boulevard. To improve traffic flow on Jubilee Avenue and Osborne Street while the closure is in place, parking on eastbound Jubilee Avenue will be restricted between Nassau Street South and Osborne Street, and also restricted on northbound Osborne Street adjacent to the Brandon Avenue intersection. 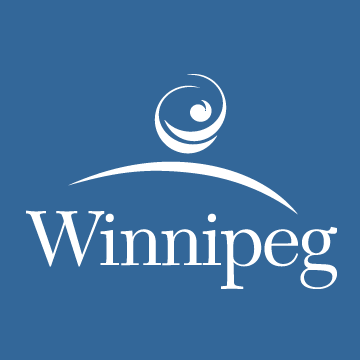 For regular updates on City of Winnipeg lane closures and to view lane closures of major streets on an interactive map, please visit City of Winnipeg – Regional Lane Closures. Download and use the Waze app for real-time traffic and incident updates as well as traffic re-route options. Winnipeg, MB – At 7:30 p.m. on February 8, 2019, Winnipeg Fire Paramedic Service (WFPS) crews responded to reports of a fire in a two-storey residence in the 400 block of Aberdeen Avenue. Once on scene crews found the fire well involved with thick smoke throughout the home. An interior, offensive attack was launched however deteriorating conditions forced crews to retreat and fight the fire defensively. All occupants fire were able to self-evacuate prior to WFPS crews arrival. No injuries were reported. The cause of the fire is under investigation. No damage estimates are available at this time.